The Orbital Auto Miner (OAM) is a HWS developed feature specifically designed to grant end-game players the ability to enjoy late game content by reducing the need to mine for resources. The OAM allows players to autonomously mine resources via the HWS website, eliminating the time and effort required to physically mine ores or to place in-game Tier 1-3 AutoMiners. To begin using HWS AutoMiners, simply buy or upgrade (am:buy) the various AutoMiner to the level you want or can afford. The first level is FREE and it must be fueled with AutoMiner Cores for it to produce ore. You can collect AutoMiner ores for free at the proper EGS Zone, but a fee is required if you wish to collect ore when you’re not in an EGS Zone. To collect ore, use the AM:Get command. You can also find these commands by checking your PDA (F1 key) > Guide > HWS Commands or type am:? in faction chat (hit comma for faction chat field) for all available commands. The following list indicates the ore amount produced per hour at each increasing OAM level. Rare resources give less than common resources. Each additional level cost is indicated below and the prices are consecutive. This means that level 10 for one type of orbital AutoMiner would cost just over 1 million credits, not 200k. 1 x AM Core per OAM will mine for 3 days. Note that the number in the AutoMiner column will soon read 0 after fueling it up, even though two days and 23 hours may remain. So if the number reads ‘1’ hours after being fueled, this means that there are still 3 to ~6 days remaining. If fueling your Autominer using the web interface, you will click on the yellow square pictured above and type in the number of autominers you wish to use for the ore in question. Three level 5 OAMS and one level 10 OAM will 6 AM Cores every 3 days to keep them all running. Likewise, seven level 10 OAMs will cost 7 AM Cores every 3 days to remain active. Remember, if they read 0, they may still be mining. You would need to monitor the ore amount to be certain that the AM core fuel is truly spent / gone. Be sure to monitor your ore amounts, because when an AutoMiner reaches its maximum storage capacity, which can differ - depending upon what its level is, the orbital cache is full and the remaining fuel is being wasted. At this point, you should use the AM:GET command or click on the Get button to remove some or all of the ore from the orbital cache. AutoMiner Cores can be found in POI’s, for sale at The Black Market and/or The ECC Trader Markets. Some PDA missions have OAMs as a reward and they are available for sale at the ECC AM Factory via an NPC trader. Go to the main lobby at the ECC HQ and look up at the ceiling to confirm you’re ‘in the zone’. Type am:get:gold:999 -> 10 * 999 = 9990 credits if you are NOT in an EGS zone and in PvE. You have 10 OAM at level 10. They will consume 10 AutoMiner Cores every 3 days. You have 5 OAM at level 1. They will consume 5 AutoMiner Cores every 3 days. If you don’t have the funds to pay for the am:get:all command, you will need to choose specific resources you need at the time. In the event that you wish to sell a level of one of your AutoMiners, you will be refunded 25% of the original cost. 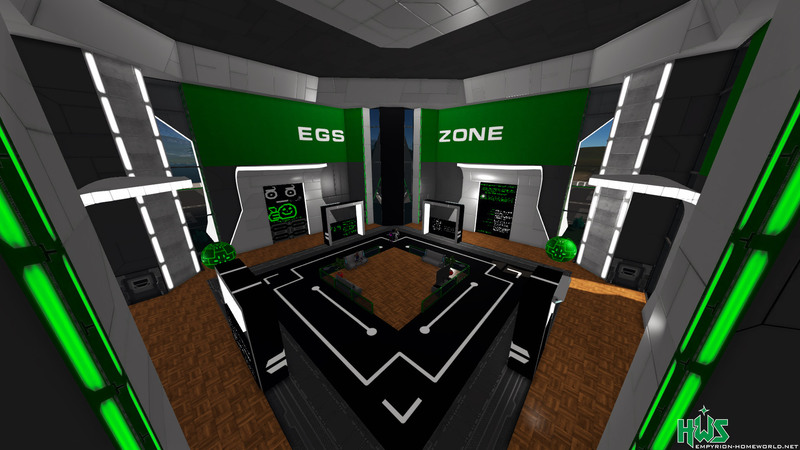 Please help with definition of "EGS Zone"
Autominers - how do they work? Autominer nicht mehr im Tech-Baum?